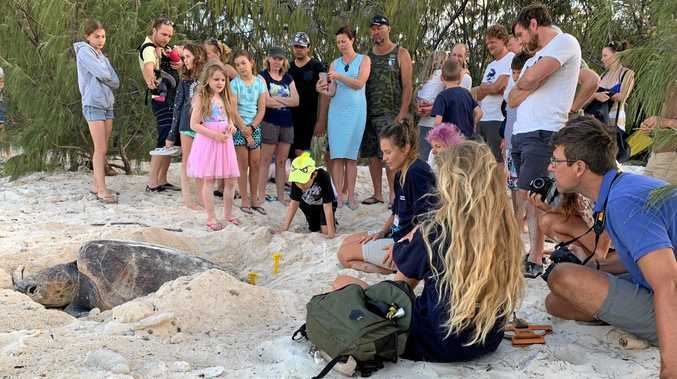 CROUD PLEASER: Queensland Turtle Research Program volunteers Jasmine Burgan and Zoe Truscott with a nesting loggerhead turtle at Heron Island last week. 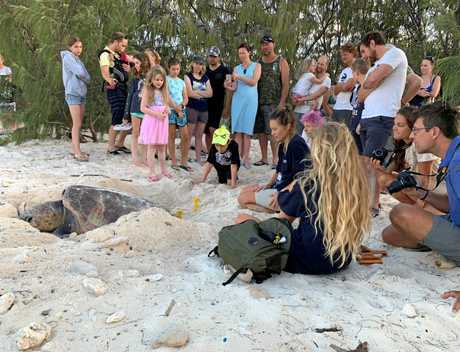 WITNESSING a loggerhead turtle nesting at sunrise at Heron Island was described as a rare and "perfect moment" for turtle researcher Jasmine Burgan and a small crowd of guests last week. 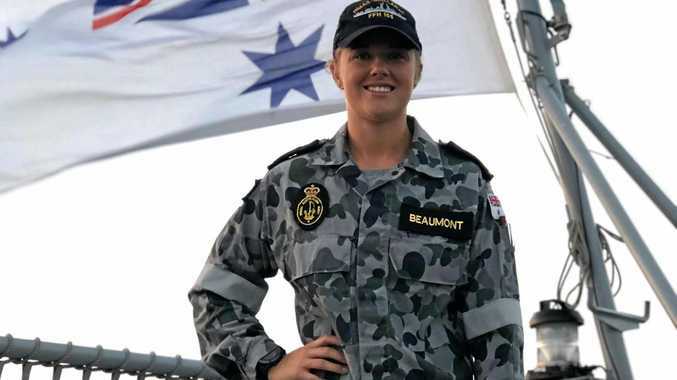 The 27-year-old said the experience was one of the most memorable during her fifth season volunteering for the Queensland Turtle Research Program at the island 72 kilometres off Gladstone's coast. While she said there was a small cohort of loggerhead turtles that lay at Heron every year, it was special to witness it at sunrise. Ms Burgan said the loggerhead was a "primary" turtle, meaning it had not been tagged. She said this could be because it was her first time nesting or she had previously nested at other nearby islands. Queensland Turtle Research Program volunteers Jasmine Burgan and Zoe Truscott with a nesting loggerhead turtle at Heron Island last week. The Australia Zoo bird specialist said while this season had lower nesting numbers than usual, it was not a cause for concern. 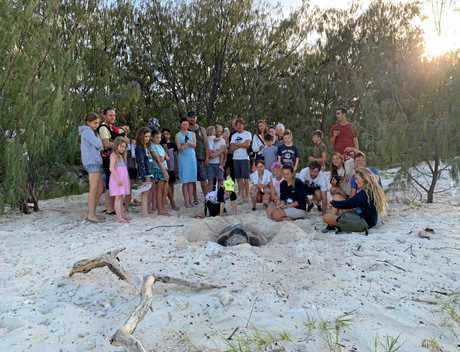 During the Sunshine Coast resident's fortnight volunteering about 20-25 turtles nested per night. At the same time last year they had about 150 turtles per night. "It's normal to have variations like that with the different cohorts of girls coming in because they don't nest every year," she said. "It's just a quiet year." As a volunteer for the turtle research program Ms Burgan's work starts shortly before sunset and continues well into the night. The role ranges from nest excavations - which involves digging up nests four days after they have hatched to count the empty egg shells - to data entry and examining nesting turtles. "I just think sea turtles are really mysterious," she said. "Since they spend so much time in the ocean it's really special to share some brief moments for them when they are on shore, it's magical." Ms Burgan recommended if you do witness a turtle nesting, do not use any torches or lights and do not approach it.